Italians are drinking more and more bubbles, more than red and white wines. This is mainly due to the diversity of the offer, which is an absolute value, even though the Veneto, Tuscan and Piedmont Regions are the ones “that drive the market”. 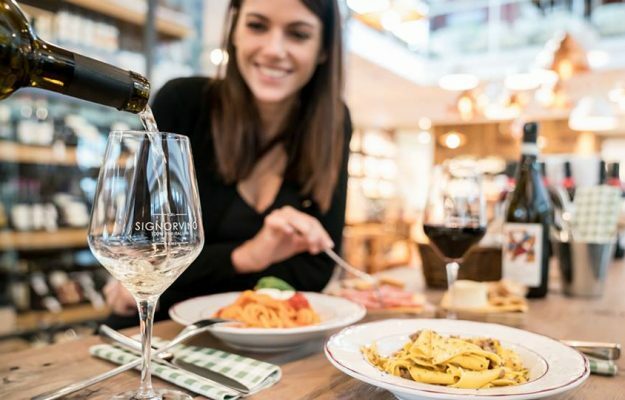 These are the trends that the Signorvino Observatory, the most important chain of Italian wine stores (16 stores throughout Italy, from Turin, Merano, Verona, Bologna, Florence to Castel Romano, the most recent store opened and the first in Lazio, ed. ), which sells over 1.500 wines from 250 Italian wineries, and has a turnover of 31 million euros. These numbers allow them “to extrapolate data that we hope will be a real reference for the sector, thanks to our ability to directly observe the behavior and choices of the final consumer”, said Luca Pizzighella, director of Signorvino. The study confirms the weight of the most important regions on the wine market, and as previously mentioned, 80% of sales value are for wines from Veneto (35%), Tuscany (15%), Piedmont (13%), Lombardy (12%) and Trentino Alto Adige (10%). 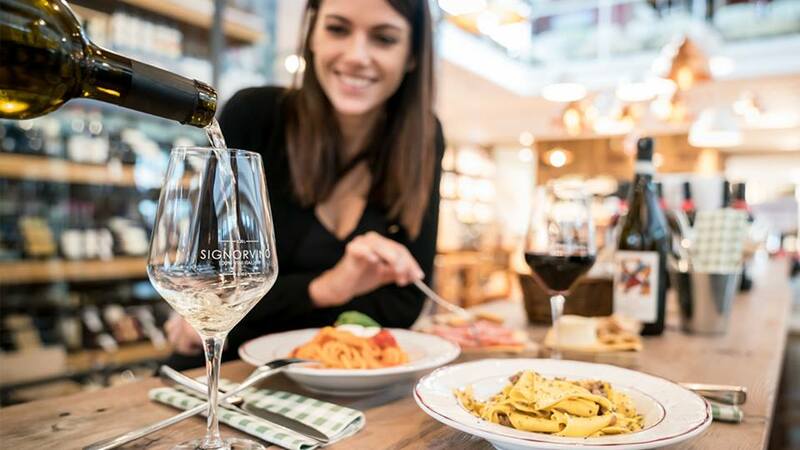 Signorvino has estimated value in consumption growth of +6% starting from the most dynamic price ranges, which are those between 50 and 100 euros per bottle (+ 15%, weighing 11% on sales) to the range between 6 and 9.9 euros (+ 12%, weighing 16% on sales), even though almost half of the total sales is in the range between 10 and 29.9 euros (48%, and +8% growth), while wines between 30 and 49.9 euros weigh 20% (and have grown +9%). Sparkling wines have continued to grow more in consumption in the first few months of 2019 as well, where bubbles registered a trend of +6% on the total value, followed by white and red wines (+ 3%), rosé (+ 2%), and instead sweet wines showed a slight decline. Piedmont is the Italian Region that has marked the highest growth for bubbles, explained Signorvino, and the Alta Langa confirms top growth (+ 43%) and Pinot Noir is more appreciated than Chardonnay. Franciacorta follows in terms of growth at +15%, while Prosecco confirms the same percentage of the last edition of the Observatory, maintaining 37% share of sales in the category. The real surprise is Lambrusco, at +31%, which customers choose more and more, especially for aperitifs. Regarding white wines, on the other hand, Italy’s central regions are growing, especially Lazio, Marche and Umbria, which are averaging +21%. Among the denominations that were analyzed individually, Lugana has confirmed its number one position for growth at +34% compared to 2018. Both the Ligurian and the Sardinian Vermentino wines did well, showing a growth on the territories of 23% and 14% respectively, while Verdicchio di Jesi has been confirmed as the best selling of the white wines in the Marche, registering +19% growth, followed by Pecorino and Passerina. As far as the Veneto Region wines go, Soave has stopped growing to give space to Lugana, even though its regional weight is confirmed as consistent at 27% for this denomination. Gewurztraminer is the most sold wine in Trentino Alto Adige, while the historical blends of Sauvignon, Pinot Grigio and Chardonnay among the whites of Friuli Venezia Giulia are growing, to the detriment of the Yellow Ribolla, which has stopped the pivotal growth it had recorded in 2018. In Sicily, one of the emergent denominations to be noted is Etna Bianco, registering + 24%. Taking into consideration red wines, as mentioned earlier Tuscany and Veneto are the leaders, while Apulia and Emilia-Romagna are driving the positive trend in the category. The denomination that has grown the most among Apulian wines, is Primitivo di Manduria, while in Emilia-Romagna, Lambrusco, which accounts for 66% of Regional sales, has grown + 30%. Overall, Pinot Noir-based wines are doing well, especially those from Lombardy, Piedmont and Tuscany; however, the highest growth of the typology is from Trentino (+39%). Sicily has also grown (+5% on average, with excellent performances by Cerasuolo di Vittoria, +18%, and Etna Rosso, +13%). Sales of red wines from the Veneto region are stable (which remains at the top of the typology), while amongst the Tuscan wines Brunello di Montalcino at +24% (and +4% for Rosso di Montalcino) stands out, and on the other hand, Bolgheri has gone slightly down. Observing the blends, instead, there has been a real boom for Tuscan Merlot (+78%), while Sangiovese has lost a few points. Looking at Piedmont, Barolo has grown slightly (+ 2%), while Barbaresco is stable. Piedmont, which today accounts for 18% of sales, has reported +2% increase in its top name, Barolo, while Barbaresco is on a more stable level. On the whole for sweet wines, Sicily is at the top where the Passito di Pantelleria wins preferences over Noto. These trends are based on a sample made up for the most part of men between 35 and 40 years old, Signorvino’s average customer, who also registers a growing interest in small producers that are able to offer uniqueness and quality at the right price. These wines are, therefore, appreciated by the more experienced consumers rather than wine neophytes (like the Millennials, more inclined to drink wine on the premises, perhaps at events with the producer, rather than “take-away”), even though wines produced by the most famous brands still maintain an important role. 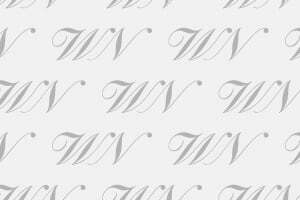 And, wines that have won prizes and awards are also doing very well, as the agreement between Signorvino and Gambero Rosso has demonstrated.